Caterpillar's Pin Grabber Coupler for hydraulic excavators. 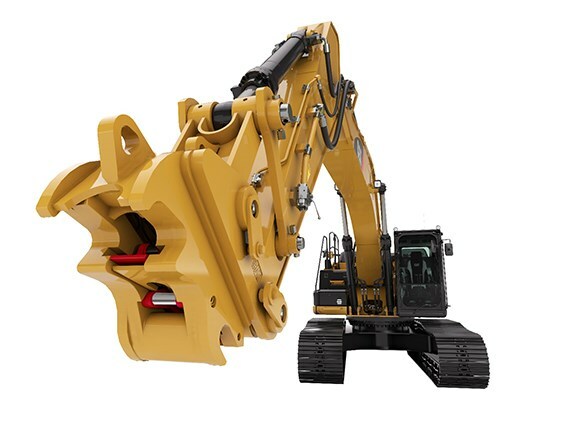 Caterpillar’s Pin Grabber Coupler for hydraulic excavators is now available in Australia and New Zealand — the first market to get Cat’s new safety-optimised quick-hitch. Available for factory and retrofit installations, the new coupler is designed to work with most buckets and Cat has advised it can be used for Cat D, E and F series hydraulic excavators models 311 to 349. 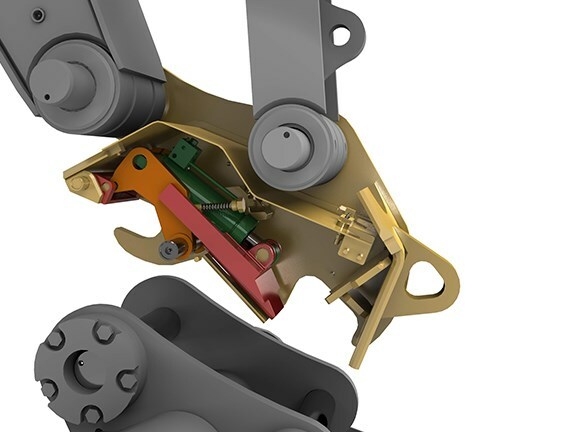 Design of the new coupler has focused on finding an optimum weight-to-strength ratio. Performance is enhanced by weight reduction of up to 10 per cent for certain models. The coupler also incorporates a short-profile design that reduces tip radius (the distance from the stick mounting pin to the bucket cutting edge) for added digging power and greater fill ratios. This helps to reduce fuel consumption. The new coupler maintains tool position in the event of hydraulic pressure loss, and the operator can verify from the cab that the coupler is locked. In terms of safety standards, the Pin Grabber Coupler meets or exceeds EN 474-1:2006 +A4:2014, AS4772-2008, ISO/DIS 13031.2:2014 and the requirements of the WorkCover NSW position paper (WC01158) for coupler safety. A debris shield has also been added to the design, completely covering the top of the coupler. The aim is to reduce dirt, rock or other debris blocking the couplers operation. The shield also eliminates the need for the operator to leave the cab to clear any obstructions. A lifting eye centred on the back of the Pin Grabber Coupler matches the centreline of the operators stick in the cabin. This is designed to help operators keep loads aligned and to give them more precise control when placing items. A central greasing block allows easy access to all but two grease points, streamlining routine maintenance procedures. Click here to find quick hitches for sale. Click here to compare machinery attachment specifications.